For every type of insurance, there is a different type of fraud. Each type of insurance obviously deals with a different problem; it's a "bet" based on a different "game." Insurance fraud, then, has to adapt itself to each different type of insurance, in order to fix that "game" appropriately. There is some overlap between them, but in general each type of insurance fraud has its own practices and its own key characteristics. No type is inherently better or worse than any other, as they are all insurance fraud, but several of the types of fraud can have other, criminal charges attached to the general act of fraud, which thereby make that particular form of fraud a bit more serious. Legal action might take place with the assistance of fraud lawyer. 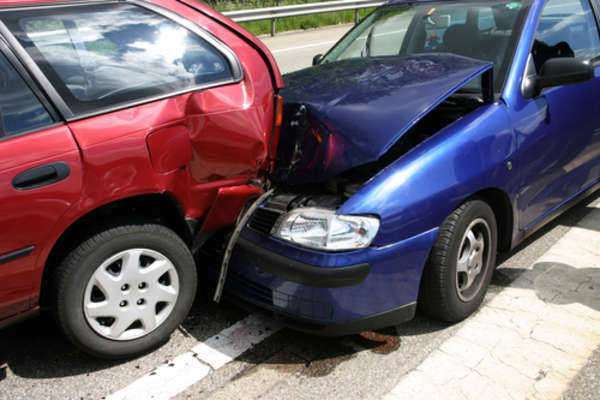 Auto insurance fraud related to fraud surrounding car accidents. Auto insurance will protect the policy holder from liability in car accidents, and it will help the policy holder to pay for some of the damages resulting from the accident, as well. Auto insurance fraud takes advantage of this, as the fraudster attempts to get more money out of the auto insurance policy than should be allowed. Auto insurance fraud comes in both soft and hard fraud forms. Soft fraud is normally just an exaggeration of the damages, saying that car repairs cost more than they actually did, or claiming that an injury suffered previously was actually due to the car accident. Such claims are normally for smaller amounts of money, and it is unlikely that an insurance company would fully prosecute such perpetrators. Hard fraud perpetrators of auto insurance fraud, however, have generally performed a significantly more reprehensible action, as the hard fraud forms of auto insurance fraud generally involve staging an accident, or forcing an accident. Forcing an accident can easily be done by a number of co-conspirators who will essentially set up situations such that an innocent victim has no option but to cause a car accident with one of the fraudsters, thereby allowing the fraudsters to claim exorbitant damages from the victim's insurance. For more information about auto insurance fraud and its forms, follow the link. Health insurance fraud differs from a lot of other insurance fraud, in that it is not normally perpetrated by the health insurance policy holder him or her self. Normally, health insurance fraud will be perpetrated by the health care provider, instead, whether through fraudulent billing practices or unnecessary prescriptions and referrals. Health insurance fraud is also problematic in consideration, if only because many doctors often perpetrate health insurance fraud out of a desire to help their patients. They will bill the insurance company for a different operation from the one they did, so that the operation billed will be covered under the patient's health insurance policy, for instance. Such actions are still considered health insurance fraud, even though they are performed with the best of intentions. But standard personal gain oriented fraud exists in the domain of health insurance, as well, with many versions of fraud that will result in the fraudster physician being able to charge more, by "upgrading" his charges, or by performing unnecessary services. To find out more about health insurance fraud and the ways in which doctors may perpetrate it, click the link. Life insurance fraud is generally a bit smaller in available methods than most other forms of fraud, as life insurance is centered on so binary a proposition. If the life insurance policy holder dies, then beneficiaries are paid. That is the primary term of the life insurance policy. To perpetrate life insurance fraud, then, would require fraudulently fulfilling that condition, under which the policy holder is deemed dead by the insurance company. One way to do this is to fake the death of the policy holder; the other way is to actually kill the policy holder, likely while the killer, or the person who hired the killer, is in the position of beneficiary for the life insurance policy. In either case, the actions required to commit life insurance fraud are often dangerously criminal in and of themselves, and as a result, life insurance fraud takes on a very serious dimension not necessarily present in other types of insurance fraud. For more information on life insurance fraud, its flaws, and its consequences, follow the link. Property insurance fraud is generally a type of fraud which involves crimes and damage perpetrated against one's own property, for the sake of then collecting the money from the insurance policy the perpetrator had placed on that destroyed property. Often, property insurance fraud takes the form of arson, committed against buildings with heavy insurance policies upon them. The owner of the building might burn it down himself, or might hire others to do it, but arson, as a means of destruction for the property, seems very appealing, because it generally consumes any evidence that might have pointed investigative agencies towards the perpetrator while in the process of burning. Arson is also criminal, and highly dangerous; though property insurance fraud rarely, if ever, involves intentional harm to a human being, it can easily involve accidental harm. Other forms of property insurance fraud include staged thefts and faked vandalism, both of which would allow the "victim" to claim insurance polices on any objects destroyed or stolen, and thereby likely make a fair amount of money. For more information on property insurance fraud and its common targets, click the link.